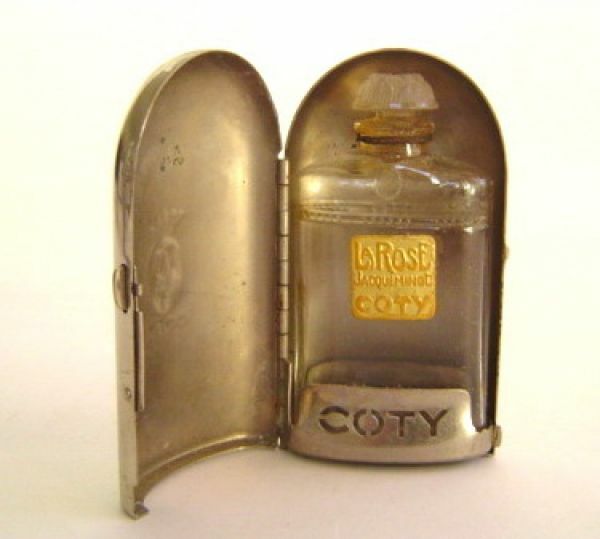 A tiny bottle of Coty's La Rose Jacqueminot in it's small metal handbag container. The bottle is a tiny 5.5cm and the case 6cm. The bottle sits in a littleholder that can swing in and out.